Are you accidentally uploading employee data to Facebook? Following the Facebook Cambridge Analytica scandal, and with GDPR now just under 2 months away from becoming law, company data transfer and retention practices are coming under increasing scrutiny. When you open the data file (you’ll likely need to ‘unzip’ a compressed folder first) you will see a selection of folders containing your different data types. Of particular relevance for employee GDPR data obligations is the “Contact_info.htm” file, accessible via the folder titled “Html”. 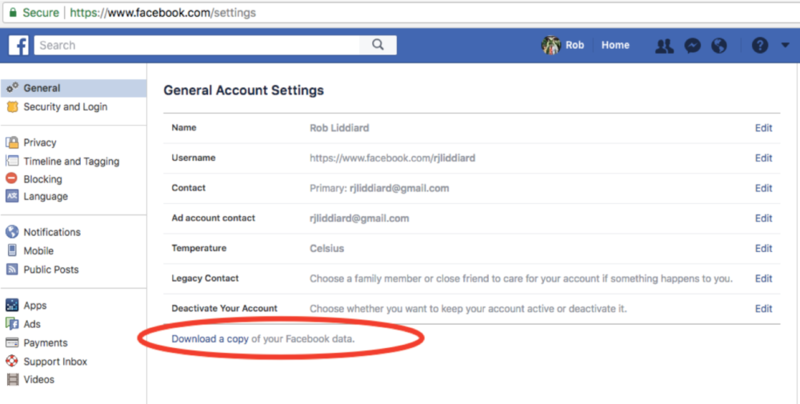 The contact info folder will contain a list of all the names and telephone numbers contained within your phone address book, if you have given the Facebook app access permission. Some users may even find that they’ve given permission for Facebook to monitor SMS and call logs. The Facebook headlines will die down in time but the wider issue of how personal data is being used and stored will remain top of mind for some time as we enter a post-GDPR world. Getting into the habit of good data hygiene will help you ease into this transition.